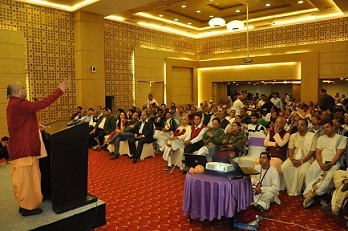 Ahmedabad, Gujarat: Supporters and wellwishers of ISKCON who attended a 50th Anniversary gala event in Ahmedabad on 19th December sponsored over 12,500 copies of Bhagavad-gita as part of the December marathon in India. 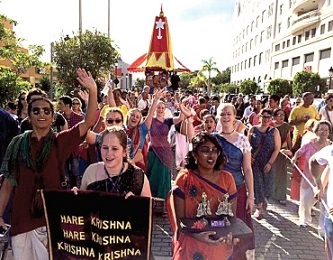 ISKCON Youth Ministry’s Manorama Dasa and his wife Jaya Sri Radhe Devi Dasi organized the first Rathayatra in the Dominican Republic. 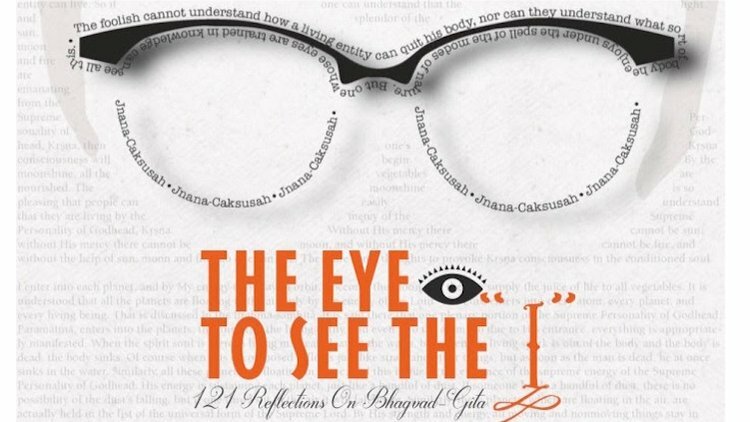 This new book by Caitanya Carana Dasa features 121 reflections on the Bhagavad-gita that make its insights appreciable in brief, relishable nuggets of wisdom. 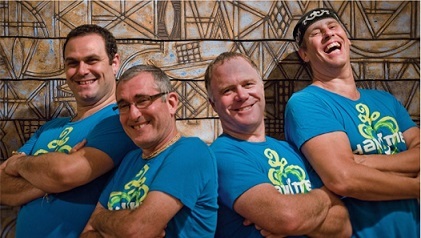 Four kirtan albums by ISKCON chanters, most of them second-generation devotees, made the Top 20 Conscious Music Albums of 2015 list on the international station Soul Traveller Radio this January. 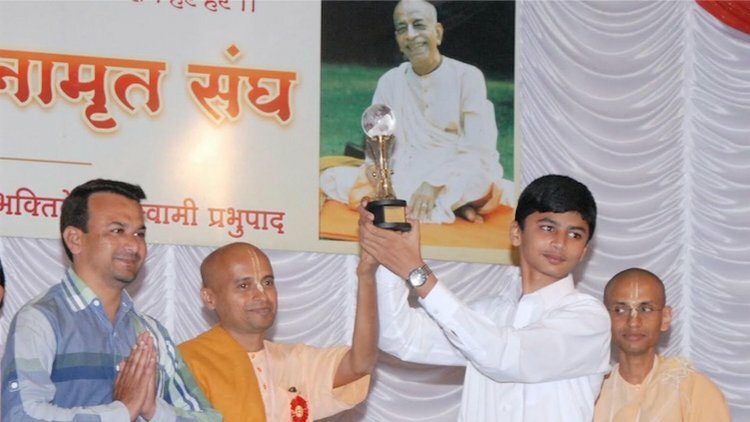 Kolhapur, Maharashtra: A Muslim student from Radhabai Shinde English Medium School, Mehboob Kalawant, bagged the first prize by obtaining 46 marks out of 50. According to his parents, during the period he was preparing for this exam and studying the Gita, he stayed away from non-vegetarian food. In his feedback form Mehboob wrote: "Bhagavadgita is the book with answer to all questions. It teaches the way of living life. Hare Krishna . I learnt how to master the mind and contact with my soul and supreme soul." 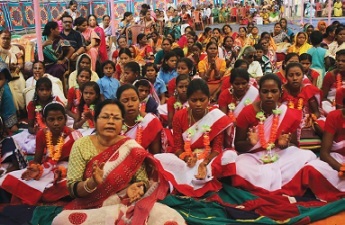 ISKCON Tribal Care Initiative (ITCI) organized an Ajodhya Utsav in the North-Eastern states for all its tribal devotees. 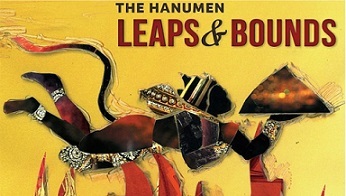 Four thousand tribals from about seventy-four villages participated in the festival. Several ministers and other prominent people also attended. 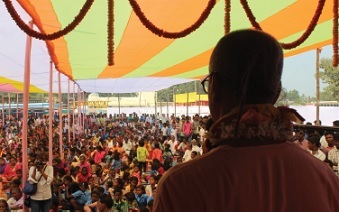 ISKCON leader His Holiness Bhakti Purusottama Swami explained how the simple lifestyle of tribals is so intricately and intimately entwined with nature. 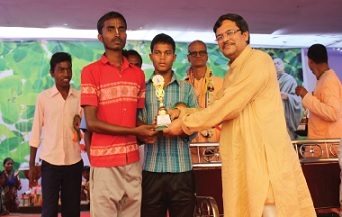 If the tribals can inculcate spiritual consciousness in their lives, they will be able to find true meaning, hope, comfort and inner peace in their life. He told them not to be blinded by the glamorous and luxurious city life because it just glitters and sparkles from a distance but from within it is hollow and incomplete. They must not forget their roots and leave their life full of tranquility in pursuit of wealth and luxury because their life though simple is beautiful and complete in itself. Their simple life is conducive to practice Krishna consciousness. He also told them that ITCI would not only guide them spiritually but shall also provide them with emotional, health, social and educational care. ITCI has planned to set up schools with good infrastructure and facilities, organize frequent health camps and generate employment opportunities by setting up a cow urine processing plant in the village itself so that they become completely self reliant.